There are lots of crazy waves undoubtedly, but Pipeline aka Pipe (like most surfers refer to it…don’t forget it’s all about the surf lingo ;-)) in Hawaii I guess is one of the most featured waves and well known ones. Even when I only just started surfing, I remember seeing the wave everywhere…in movies, posters, magazines. Ok I admit, I’m a bit biased with that one because as my loyal readers would know, that’s my all time favourite wave so I had to find a category for it, just so I can mention it. Having said that, it’s safe to say there are hardly any big name surf flicks that would not include Chopes (see what I did there…Teahupoo = Chopes…if you want to sound like you know your stuff…). It’s this wave where it looks like the whole ocean is sucked up and folding over the surfer. Crazy. 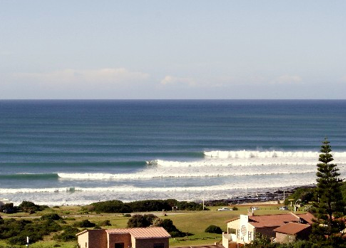 J-Bay is a veeeery long right. That’s one of those spots that always looks cold and rugged, lots of seals around too. So frequently featured when they start talking about sharks. 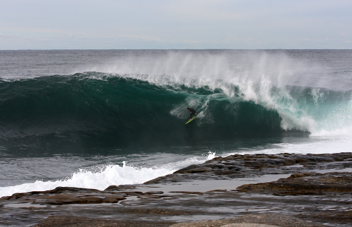 or Shippies, mate (surf lingo, surf lingo…). I love that wave. It’s a powerful right and it has this trademark step in it which means after a 5 meter free fall you think the brave surfer’s made it only to see this step in the wave coming out of nowhere. Some surfer’s make it, some don’t. 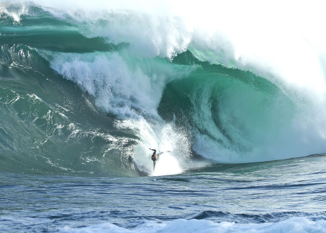 Makes for awesome wipe-out footage…Well-deserved title. It’s on our doorstep and it’s an insane wave. It’s a right-hander that breaks in front (when I say in front I mean in front) of a large cliff face. If you don’t make the drop you are going to kiss the cliff which is very close to take off zone…did I mention it’s right in front of the take off zone? Oh and if make the drop, you’ll better be fast not to stack it along the way in the super fast barrel. It makes for very popular footage. Good old Superbank. No footage of a crowded line-up without Superbank. Easy to recognise, amazing, amazing longest left ever. 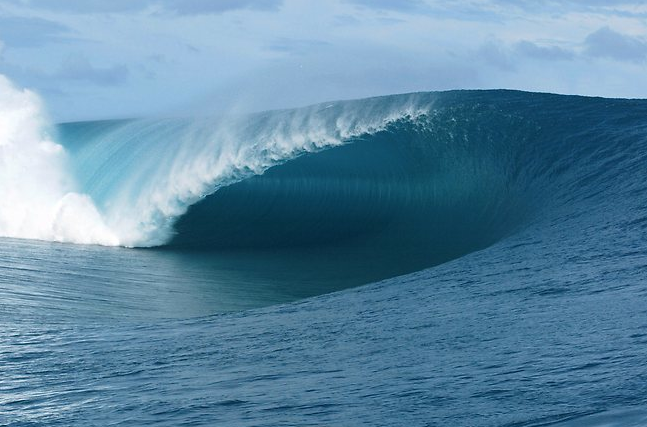 Unfortunately, quite a few people glued onto the fact that it’s one of the best waves in the world. Hence, the rather big number of surfers in the water. It’s a standing wave in a river in a park in Munich. I have never been there and it’s not that exciting compared to many other waves but they throw it in sometimes just for the novelty factor I guess. Did I forget any categories or waves? What do you think about my winners? Anyone dare challenging my winners? PS On a side note, in case you have not heard Austria got two Oscars. Congratulations Christoph Waltz (yes, yes, it’s true Tarantino’s current muse is Austrian) and Haneke for best foreign film. Good work. Austrian heritage pride coming through.